The Samsung S10 has arrived. Following a range of underwhelming Galaxy handset releases over the last few years, the S10 is a solid upgrade from its predecessor, the Galaxy S9. 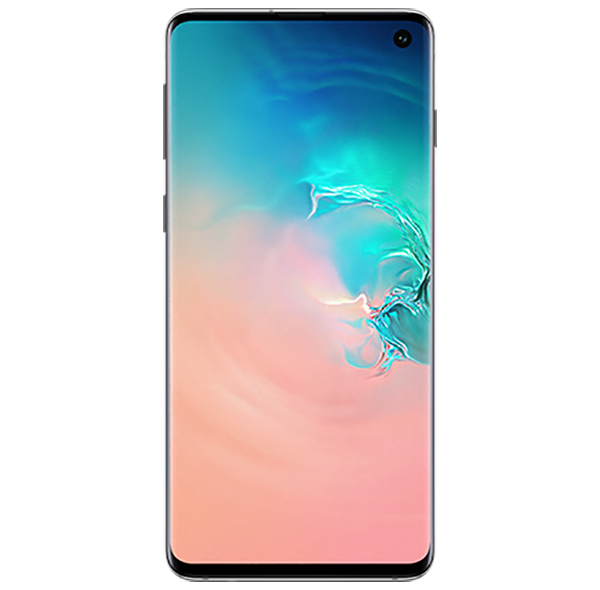 The S10 features an excellent screen, fantastic cameras, power-sharing features and an ultrasonic on-screen fingerprint sensor. It’s definitely a model that will be turning heads… if you’re willing to pay for it. The obvious upgrade from the S9 is the new 19:9 Super AMOLED screen, which features a 6.1-inch Infinity “O” Display. The “O” refers to the new small ‘hole-punch’ front camera, which sits in the top right corner of the display. 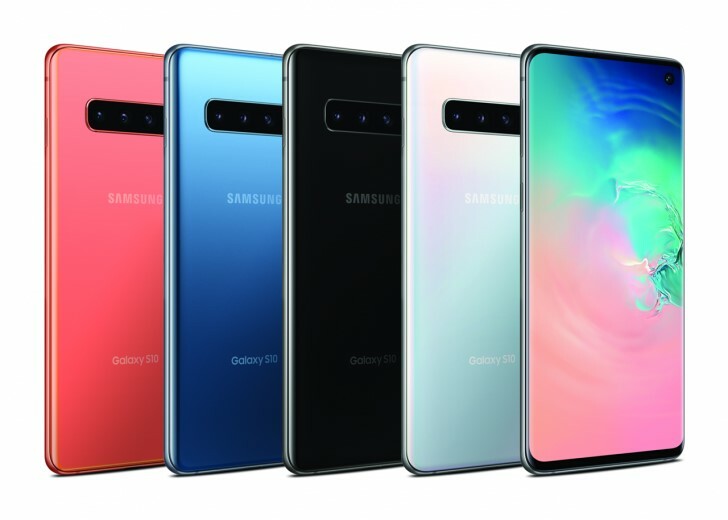 Samsung is the first manufacturer to move away from the traditional ‘notch’ of other full-screen display smartphones which houses the front camera. Another new feature is the ultrasonic fingerprint sensor. Replacing the traditional physical sensor on the back of the phone, the new ultrasonic sensor is built into the screen and requires the user to press the bottom of the display to scan your finger and give you access to the phone. 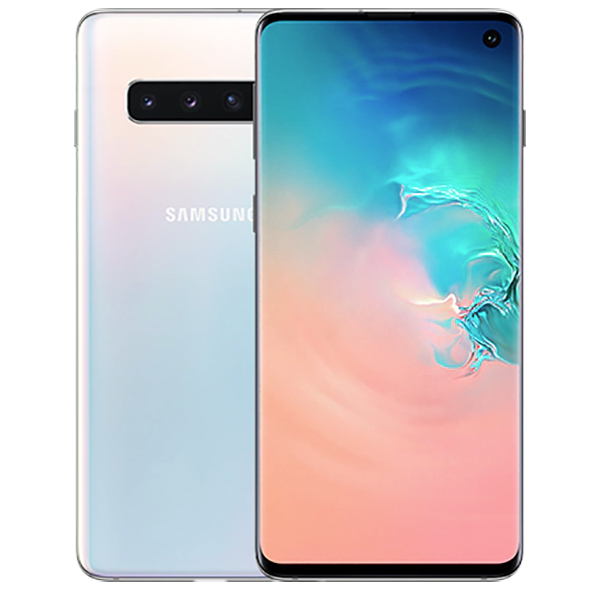 Samsung has also packed a triple lens camera onto the back of the phone with a 12MP lens, 12MP optically zoomed telephoto lens and 16MP ultra-wide lens. Ideal for taking any type of photo by automatically optimising your camera settings to the scene. The trio of sensors gives you plenty of variety when shooting photos or videos. In terms of performance, Samsung hasn’t skimped out on the ‘under the hood’ specs either. You’ll get a lofty 8GB of RAM instead of 4GB, along with 128GB or 512GB of internal storage. This can also be increased with external storage through a MicroSD memory card. Powering the phone is an 8nm chipset, which will either be the Exynos 9820 or Snapdragon 855 depending on where you live. Wireless PowerShare is a new feature for the Galaxy range and allows you to share your power with other devices that support the feature, ensuring your friends are never left with a dead battery… if you’re willing to share! The S10 is Samsung’s biggest and best phone to date. Although there have been many improvements (triple lens camera, more pixels spread across the screen, a better battery, wireless PowerShare) there hasn’t been any major surprises. If you want one of the best smartphones on the market, and you’re willing to pay for it, the S10 would be a good choice. 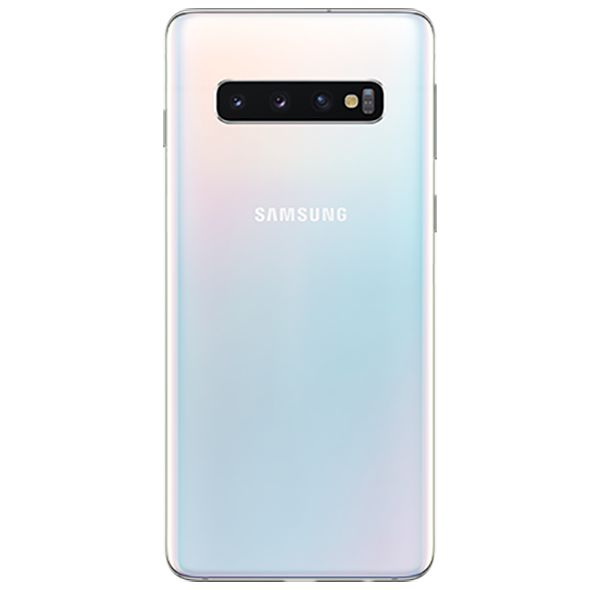 Speak to the Bluecube team for further information on the Samsung Galaxy S10 and what mobile tariffs are available to your business.